Our low prices have caused our inventory for this item to run low. You can still lock-in today’s sale price and order today. We will ship you the item as soon as our inventory increases, which should be on or after June 1, 2019. Just add it to your cart and proceed normally through the checkout process. 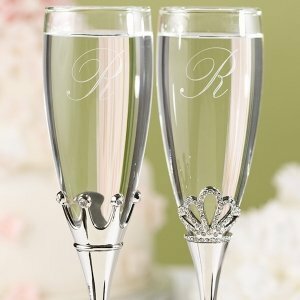 The perfect set to toast your fairytale wedding, our king and queen flutes feature slender nickel-plated stems with a clear glass flute resting atop a crown base. The glasses measures 10 1/4" tall with room for 6 1/2 ounces of your favorite celebratory beverage. We will optionally engrave each flute with a single initial as shown, or two lines including the bride and groom's names and their wedding date. Each crown is studded with rhinestones so they sparkle in any light! 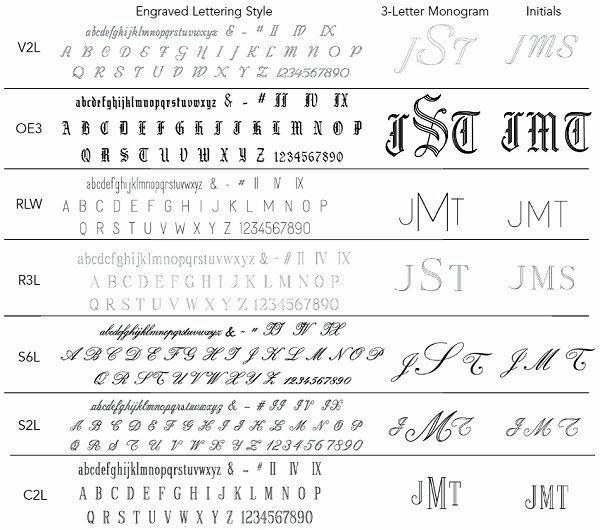 Please note that we do not recommend all uppercase letters when choosing a Script font. For example, John is more legible than JOHN. Do you do these in rose gold colour or gold please? I'm sorry we don't but you can click here to see the rose gold and gold toasting flutes that we have. I'm sorry at this time, we can't ship outside the U.S.
does the King and Queen Toasting Flutes come in rose gold? I'm sorry, they do not. How many glasses in one set? 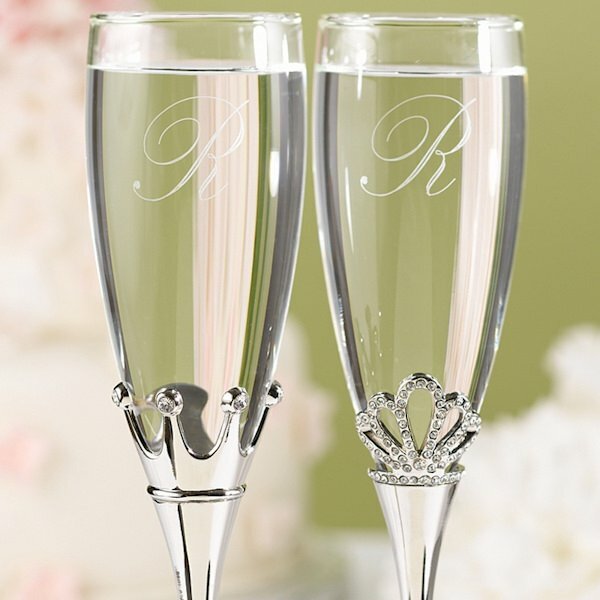 There's 2 glass flutes in one set when you purchase this King and Queen Toasting Flutes. 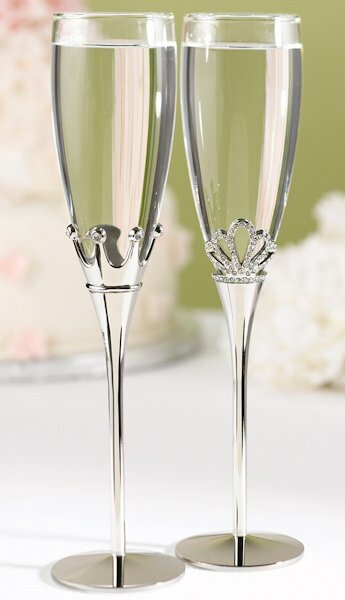 The king and queen crown base clear glass flutes.